You can’t force good results. Sitting in coach Viktors studio at Haninge golfklubb reflecting on last week’s result. Finishing 25th after three bad rounds and one good is actually pretty positive. Not even close to play at my potential but still I finished 25th. The negative: I was not thinking fresh for every round. What I mean by that is that in the last round my game wasn’t really there but I tried to play the same strategy as I had on Saturday when I shot 66. Forcing a good result by playing aggressive and do a “copy, paste” from the day before doesn’t work. I didn’t feel comfortable with the driver and hoped that a good driver would give me a easy approach shot to the greens which might setup for a birdie. I should’ve just realized its not my day and I can’t win, let’s play with what I have and see where I end up. Some comforting after my bad round of golf on Sunday to come home and win in paddel tennis. Celebrating my win with dinner at Hills golfclub. 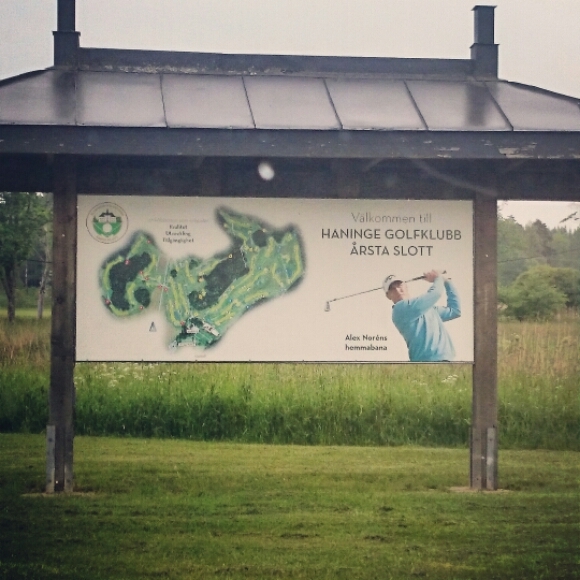 As I said I’m at Haninge gc to practice. Right away when you drive in you can see who’s the king. Alex Norén! Time to hit the range. That’s what I call a move! A nice 66 today to move from 47th to 10th. Thought to much over the shots the first rounds and tried to hard to read the bounces, bought on the firm fairways and greens… Today I just hit the ball and didn’t look where it ended. As I wanted I took care of the good morning greens that are a bit more true and softer. The round stood still for a while though. Great shots that ended up only 10-12 feets from the hole but nothing dropped. Until I chipped in on 14th from 20 feets and holed a long putt from 30 feet for eagle on the next. Boom from -2 to -5 in a heartbeat ;). Finished off with a nice putt on the last for -6. Fingers crossed for me please! Time to hit the gas not the break. Started of pretty good today again but it was not pretty. Some good saves and nice putts kept me minus 2 for a while but the struggled kept going and I couldn’t hold it together in the end. Plus one again and a 47th spot on +2. Time to just let go and we will see what happens! Chilling out in the room with this bonus track from aviccis album true. Have missed that totally. Need to work on my punch shots. Started well today. -4 after 6 holes. Everything felt so easy cause on most of those holes you played downwind. From 7th and onwards you have to hit better shots due to the strong headwind just to make par. Unfortunately I didn’t. One double bogey and three bogeys made me finish on +1 and tied for 42nd. Not to bad of a position to be in but still it’s should’ve been atleast a couple of under if I controlled my punch shots better. Have a tendency to hit them to hard and then they get to spinny and out of control. Some work on the long game on the range is done and hunting mode is on for tomorrow. 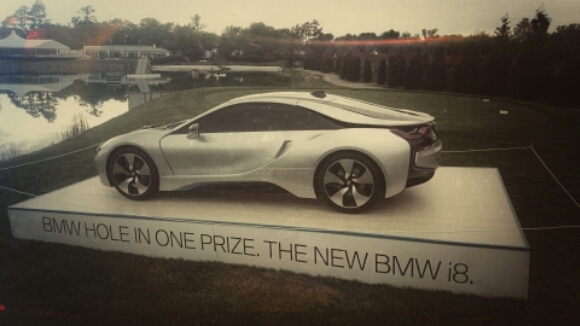 More birdies less bogeys tomorrow. 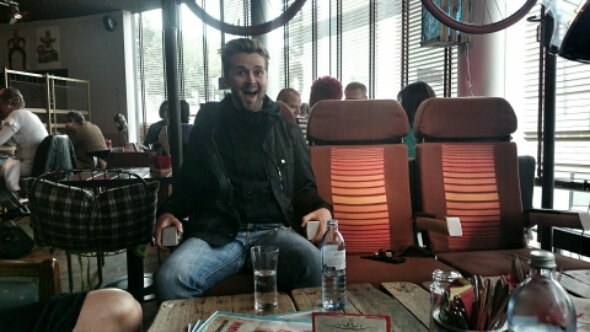 Cool retro airplane seats at the restaurant we eat every night. 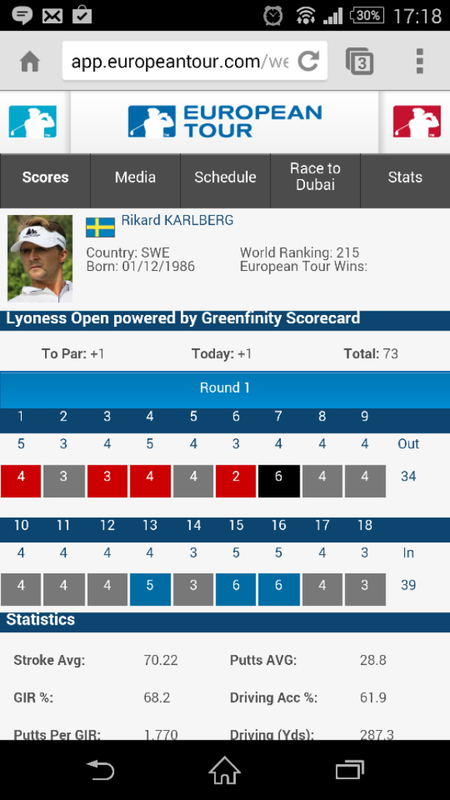 Mikael Lundberg shot -5 today and is one of the co-leaders of the tournament. His ball flight with the driver is not the best for a long carry but it runs a lot on the firm fairways this week. In this video he explains how it reacts when it hits the ground. 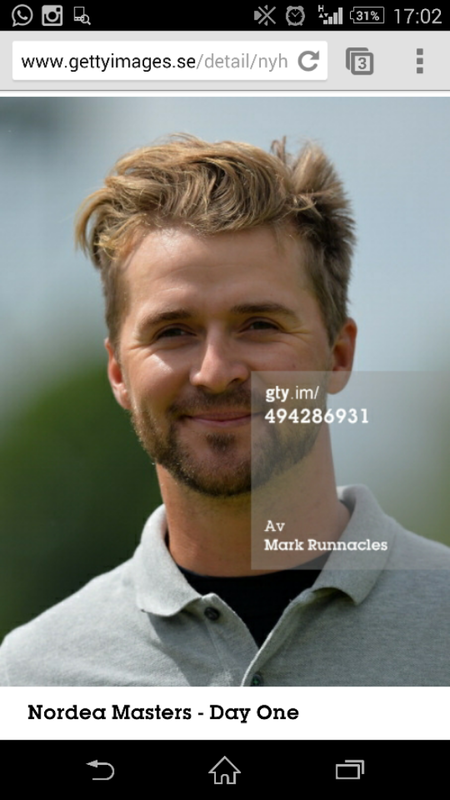 Nordea masters, what a great event! I was just about to start a trackman session on the driving range in Austria when I realized that its time to start blogging again. Sorry for this long vacation from it. However it’s time to get back on the horse. First of all I wanna thank everyone who was down at PGA national and cheered for me. Got overwhelmed of how many people there was from Ale gk, hills gc and black mountain. For the people who wasn’t there I can tell that you really missed something. Great crowd and atmosphere and of course awesome golf from some of the top players in the world. Some people asked me if Im happy with my performance? Yes and no. I played some really good golf. Specially the first round 67 -5. The whole game was solid. The other days was also allright but there was poor putting or stupid mistakes there. So 15th spot was alright but far from what I can achieve when my game is feeling this good. As I said before I’m in Austria now. Playing the Lyoness open at diamond country club. 3rd time here and the course looks better then ever. Firmer then I played it before, bought on the greens and fairways so I hope that could be to my advantage with my high ball flight. Happy after the first day! Last week in Indonesia didn’t went as planned. I was very confident going in to the tournament and tried a little bit to hard. When I play the best I feel that I focus heard on my aim and then let the swing do the rest by itself. On the 1 first round I tried to force the swing a little bit and then I have a tendency to mis from the tee. However, it was not that bad but everything was little bit off so I couldn’t score well. This week I’m in Singapore for the last tournament of the “sweat swing” (Malaysia, Indonesia, Singapore) . Singapore could be one of my favorite city’s in the world. Clean, organized and a lot to do. Tournament is played on Laguna national Gc. Totally different what we played from the last two weeks. Short, narrow and with a Florida-kind of a look with many waterhazards that separate the holes. I’m going confident in to this week as well. A lot of 3-woods and 3-irons will be hitten from the tee and that’s my favorite clubs in the bag. I also changed putter this week to a new vice versa center shafted XG oddessey. 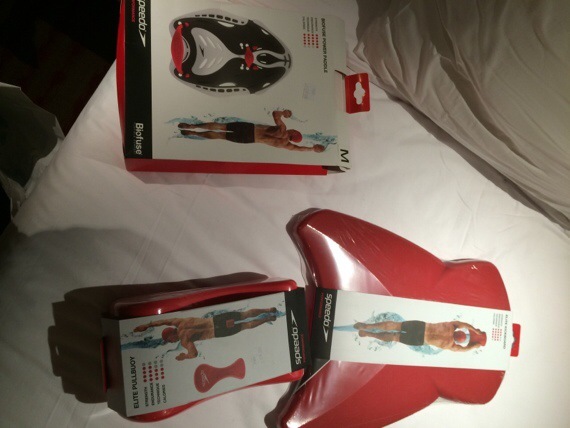 I love gadgets and in a attempt to get better in swimming I bought everything :). 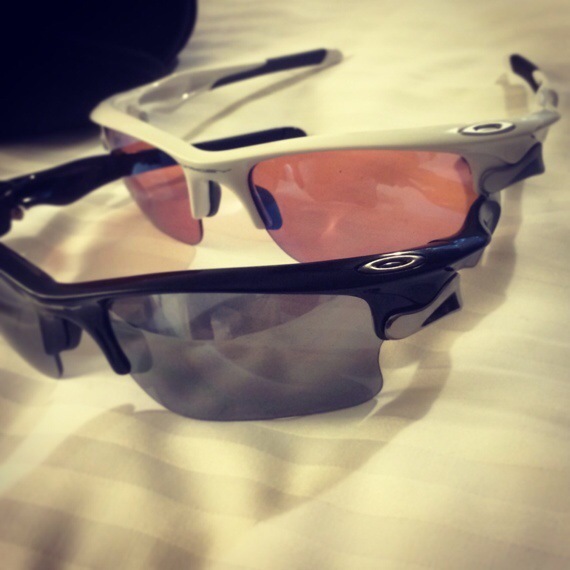 Got some new fast jackets from Oakley. I was so negative about glasses one year ago but cause I got more and more headaches I then started to use oakleys and it stopped. It’s enough for me to use the bright lenses, just enough to take the reflections away and that’s what’s usually gives you headaches. The new g30 iridium lenses makes you see contour even better as well. It will be a lot of weather delays this week cause of the constant rain and thunder threats in Singapore. It’s already one hour delay and I supposed to be teeing off 13.55. If it gets later, we will see. Going from one hot and sticky place to another. 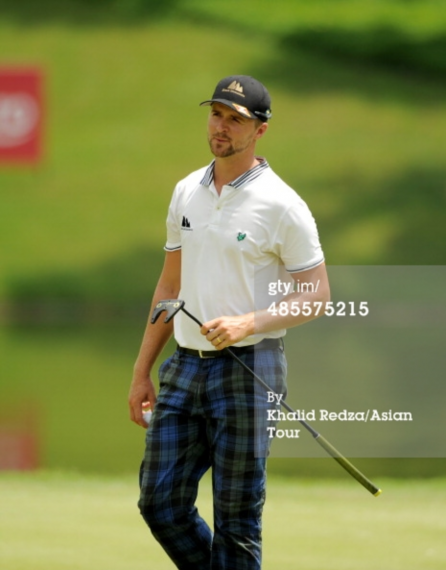 Now i´m in Jakarta, Indonesia at a great event called Cimb Indonesian Masters. The tournament is played on Royale Jakarta Golf club. Good track which favours the loong hitters. Facts are pretty clear: 2011 & 2012 Lee Westwood won. 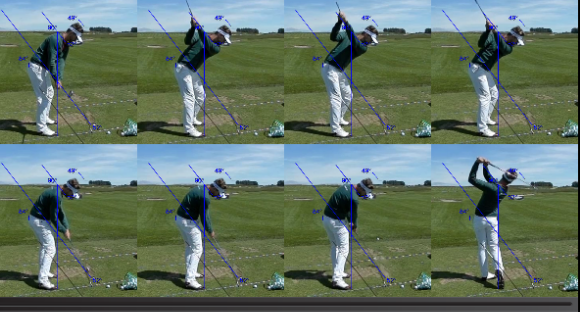 2013 Bernd Wiesberger. Rough is a little bit shorter than last year which might do the all over scoring lower but the winning score should be around 15-20 under par. 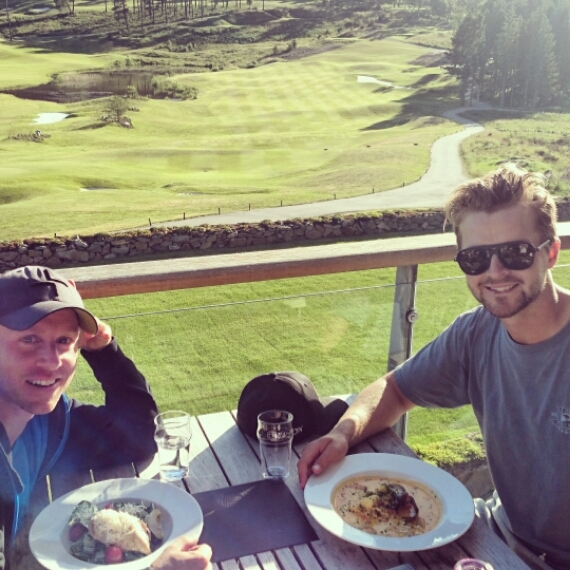 Game feels great after todays Pro-Am and it should´nt be any problem to be up at the top. Thankful to Lyle & Scott and Footjoy to provide me with great products! 11.40 tee time tomorrow. Keep your fingers crossed. First of all thanks for all the support this week. 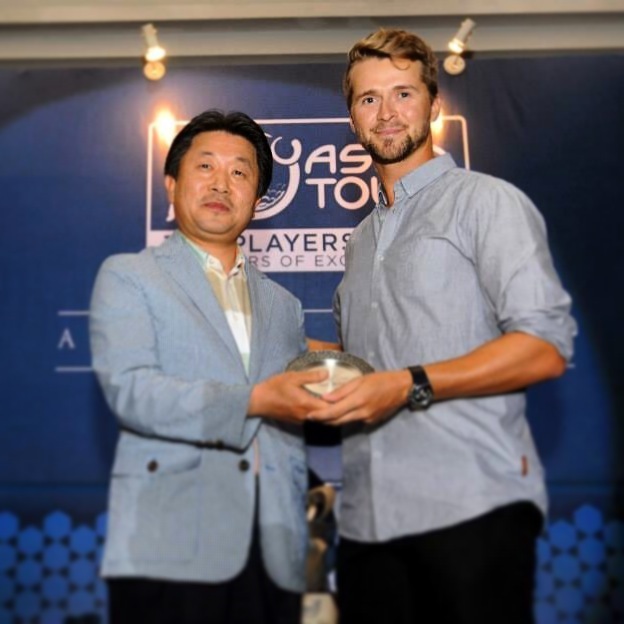 Finished 5th and are now at the top of the Asian tour Order-of-merit! It seems that I´m getting more and more steady during the weekends and can than deliver some top-5s. 3 out of 5 starts this year so hopefully I get the Win soon. Didn´t get it going during the final round as the third. Some errors with the driver and a few in to the green. Felt a little bit more tensed than I did in Kings cup in the beginning of the year. Only seeing that will make me relax more and have more fun in the future. 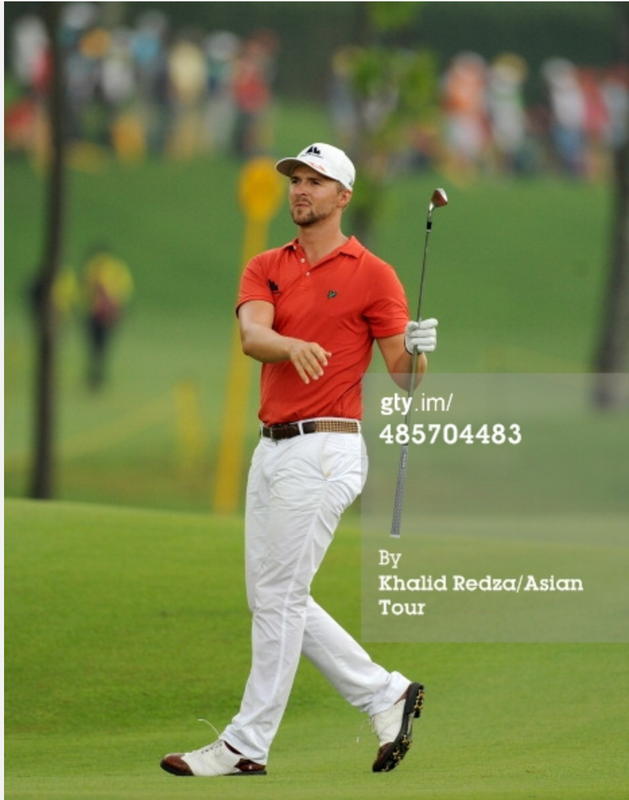 The birdie birdie finish makes me also see that I have that feeling of not letting go and that will pay of later! and once again….Thank you for the support It means a lot! Good chipping and good Ironplay takes you far but not all the way. Have been hitting my irons great this two days. Decent distance control and with good accuracy. I´m surprised though how bad my driving has been. Only 1 fairway hit out of 10. The fairway I hit which was on nr7 bounced back on the curb of the car path So it shouldn´t even count. :). Putting could´ve been better aswell. Have only sinked two putts outside three feet. One was yesterday for birdie on 16th and one today on 2nd, both from 9 feet. Been think of changing driver , but cause that I’ve been hitting it good before it will be easier to find the rhythm again with my old one. (which is a R1). Putting is the same thing. Just keep on trying to see the line that will get it in to the hole and eventually they will start dropping. Pablo Larrazabal got chased by some hornets today. It got so bad that he had to jump in to the water hazard: Link. Tomorrow it´s moving day. With the knowledge I now have from the course and my game I will hopefully move in the right direction :). Last tournament in Marbella, Spain was horrible. Bad preparation and bad course management. Hopefully I have learned from my mistake. 9.15-10.00 working on my putting pace (1-foot pace exercise, from 5-10-15 meters. After that I went back to the hotel and watched “House of cards” fantastic series! 09.00 tee time tomorrow with Wiesberger and Fleetwood!